Next stop was Betis Pampanga. The old town of Betis in Pampanga is now a district in the town of Guagua. This sleepy, quiet place is known for its woodworks and furniture. 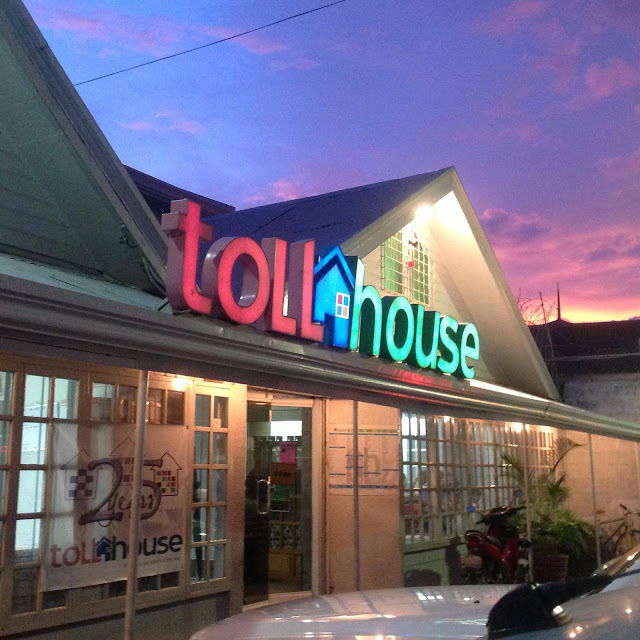 It is also the home of one of the most visited churches in Pampanga. The town was named after a lumber tree, Madhuca Betis, which was said to be abundant in the area. But today, no betis tree could be found in the area. But its legacy remains in the old furniture once carved by the local craftsmen. Betis Crafts Incorporated is a high-end furniture manufacturing company focusing on woodcarving and gold leafing based in Guagua, Pampanga. Originally producing furniture components in the backyard of company founder and Philippine furniture icon Myrna Bituin, the company has grown dramatically and is now synonymous with the fine wood furniture from Pampanga. Established in 1972, Betis Crafts now employs 300 highly skilled workers and has seven satellite factories in Concepcion, Tarlac, producing 3500 pieces per month. Betis Crafts continues to make a mark in the Philippine Furniture business. They did the “Solihiya” weaving of the Papal Chair during Pope Francis’ visit. They did the Miss Universe Chair in 1994, used by Sushmita Sen, and eyeing to do the Miss Universe Chair again this year. They are also in demand abroad, as they did most of the furniture in the Palace of Qatar. We visited another famous church in Pampanga – the St. James the Apostle Parish Church or Betis Church. Declared as a National Cultural Treasure by the National Commission for Culture and Arts, St. James the Apostle Parish Church or more popularly known as Betis Church is an architectural and religious pride in Guagua, Pampanga. Built in 1697, this baroque designed church is truly a natural treasure. It is also known as the “Sistine Chapel of the Philippines” because of the detailed and striking artworks on its ceiling. The original ceiling mural was painted by one of the most well known painters in the late 19th century, Simon Flores. The painter incorporated Spanish, Latin American, Oriental and European arts in completing the murals. In 1939, the ceiling was repainted by a San Agustin native named Macario Ligon. Ligon has Victor Ramos as his assistant who also restored the paintings in the 1970s. Repainting took almost a decade to finish despite having two assistants. Pamintuan mansion in Angeles Pampanga was our next stop. 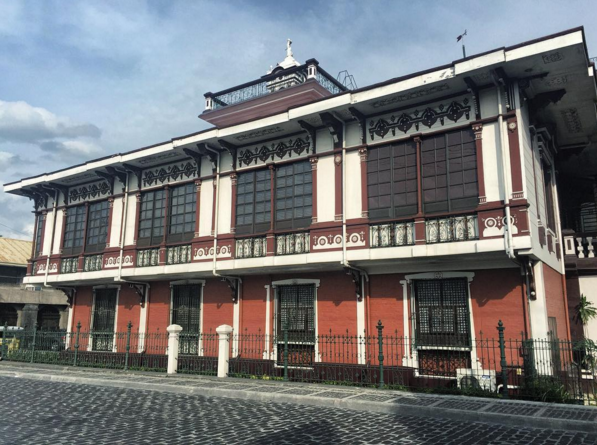 It is now known as the Museum of Social Science and History of the Philippines. But before it was a wedding gift during the feudal times, the seat of the first Philippine Republic, it was here that the first anniversary of the declaration of Philippine Independence took place, and a Central Bank repository since 1981. The museum guide allowed us to climb the topmost part of the house, where you can see a-360 degree view of the perimeters of the mansion. Before reaching the place you have to climb a spiral staircase. Museum guide told us that at the foot of the spiral staircase a gruesome murder took place. Someone in the family died when a Japanese used his bayoneta. I let the rest of the group to go upstairs so I can take some pictures of the room with no people in it. When I took a shot of the staircase – to my surprise – no picture registered. Just a dark black image. After that, I ran upstairs. Can’t wait for the tour to end. Natakot talaga ako. Next location we visited was the Center for Kapampangan Studies at the Holy Angel University. Inside this museum you will see the "Death Mask", the last facial expression of a great man. National Artist Napoleon Abueva. To date he has made three death masks, two of which are on display in this museum -- famous Kapampangan, Benigno "Ninoy" Aquino (made during his wake at the Sto. Domingo Church) and Fernando Poe Jr. The other death mask was of Jaime Cardinal Sin. The other 2 museums inside Holy Angel University were the Vicente Manansala Art Gallery and the Pinatubo Museum. On display at the Vicente Manansala Art Gallery are personal effects and early sketch works of the famous Kapampangan artist. He was born in Macabebe. At the Pinatubo Museum, one will learn the woes brought by the Pinatubo tragedy. It was the first time my son, saw a video of what transpired during the time when Lahar ravaged Pampanga. He was so surprised he didn't take his eyes off the video presentation. Early dinner was served at the famous Toll House. It was such a happy one-day cultural, historical and food tour of Pampanga. It was truly a memorable bonding experience for me and my son. A big thank you to http://www.northpineland.com/ for making this trip possible.